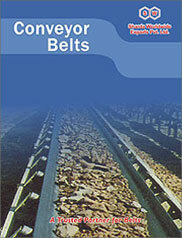 Sharda Cropchem Limited is engaged in the supplying a variety of Conveyor belts, V-belts, etc. These belts are used mainly in mining projects followed by Steel plants, quarries, grain silos, cement manufacturing facilities, ports, tunnelling projects, etc. The company caters to markets across Europe, NAFTA, Latin America and Rest of the World. The company supplies this product range from its partners in china.